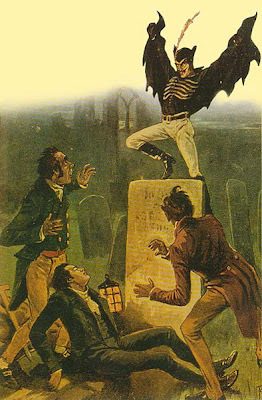 Spring Heeled Jack (also Springheel Jack, Spring-heel Jack, etc), is a character from English folklore said to have existed during the Victorian era and able to jump extraordinarily high. 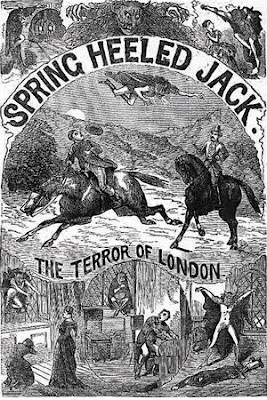 The first claimed sighting of Spring Heeled Jack that is known occurred in 1837. 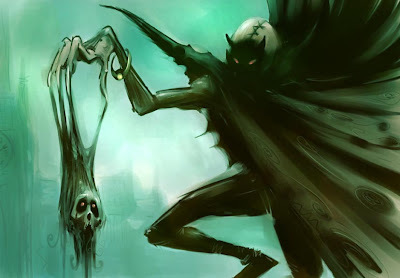 Here we have some pictures of the interesting man/monster known as Spring Heeled Jack.